I was trying to use up some of the grains in my refrigerator this week. Plus, I had some homemade chicken bone broth that I didn't want to go to waste. So, I used my bone broth to cook some quinoa, brown rice and lentils. This recipe actually uses brown rice and quinoa because I just ended up cooking those together. For this recipe you could use a combination of both quinoa and rice or use one or the other. Since my hubby is trying not to eat very many grains since he had huge success on the Whole30, I tried to make this heavier on the tuna and veggies and a little lighter on the grains. There's just a tiny smidge of corn for a little sweet, crunchy surprise every couple bites. It also has cilantro in it because aldi has had fresh cilantro the last several times I've been and I pick some up when I can! Usually when I think of cilantro, I think of lime. I used lemon instead of lime this time though because of the tuna. When I think of tuna, I think of lemon! 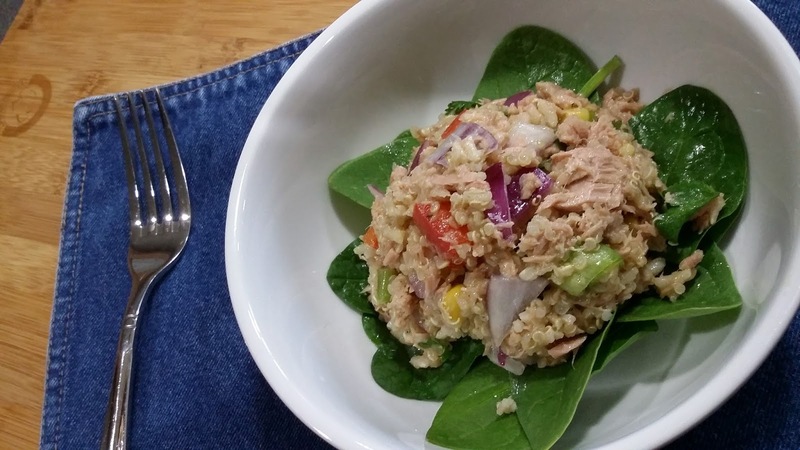 Combine the quinoa and/or rice with the tuna, green onion, corn, red pepper, red onion and cilantro leaves in a medium sized bowl. Whisk together the olive oil, lemon juice, minced garlic, salt and pepper. 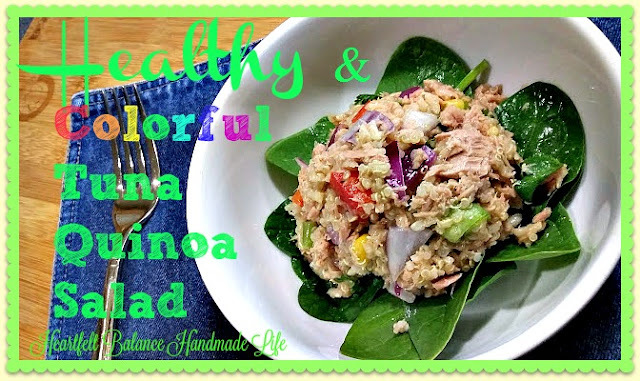 Pour olive oil mixture over the quinoa, tuna, and veggies and stir to combine. Cover the bowl and chill in the fridge for one to two hours. 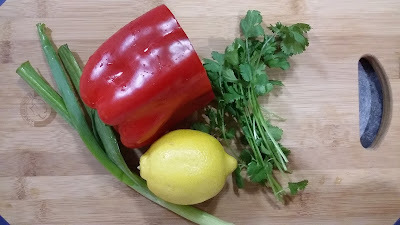 You can eat it as is or use it to top a green salad. Or, you could stuff peppers or tomatoes with it OR wrap it up in a Romaine leaf. Yum! What's your favorite way to use quinoa?